Overview of the Tuttle Creek Drainage, near Horseshoe Meadows Road. The south fork (left) provides access to Mount Langley's Northeast Couloir, while the north fork leads to Mount LeConte. Both options offer outstanding skiing—if you can get to it. 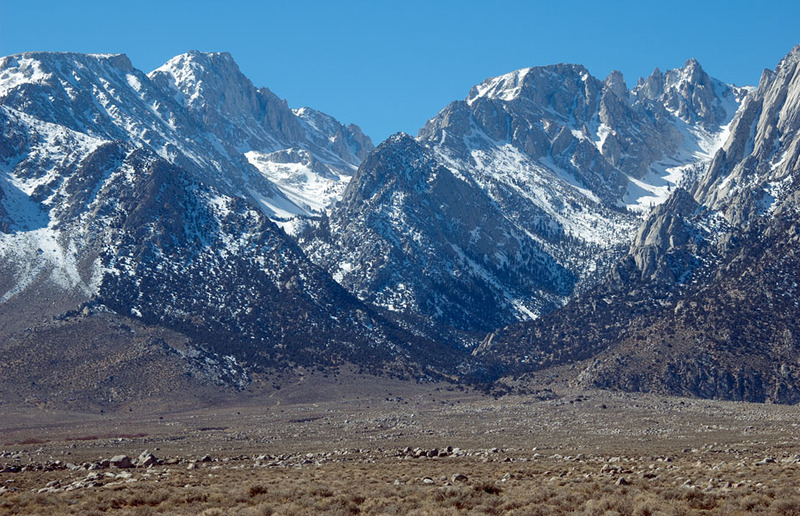 Lone Pine, California.